Duane Trucks behind the drums with Widespread Panic. Say the name “Trucks” to anyone in the rock music world and there’ll be immediate recognition. After all, as one of The Allman Brothers Band’s founding members, Butch Trucks played drums with that legendary group for 45 years. 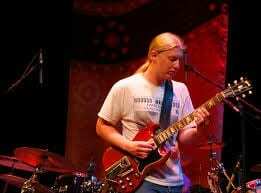 Add to this Butch Trucks’ nephew, Derek Trucks, who was a guitar prodigy and ultimately landed the gig as one of the Allman Brothers’ guitarists until the band retired last year. He’s also forged a substantial solo career, currently playing lead guitar next to his wife, blues singer Susan Tedeschi, in the Tedeschi Trucks Band. 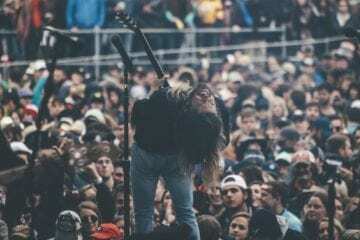 Trucks was named Glamour magazine’s “World’s Sexiest Guitarist Alive” and is on countless lists proclaiming him one of the rock music’s all-time best guitarists. 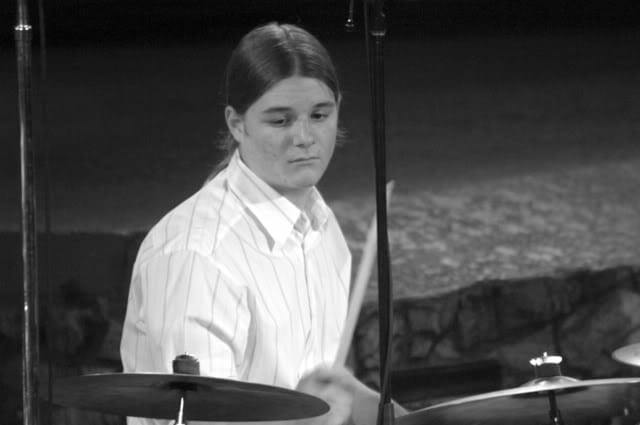 Staying with a longstanding family tradition of keeping the Trucks name at the music forefront comes now Derek’s younger brother, 26-year-old drummer Duane Trucks. After graduating high school, the youngest Trucks packed a couple of bags, his drum kit, left his native Jacksonville, Florida, and moved to Atlanta. In his eight years in Atlanta, Trucks has graduated a four-year internship with the Colonel Bruce Hampton University of Life and Music, and plays part time in the Hard Working Americans, an up-and-coming band with more established musical greats Dave Schools, Neal Casal, Todd Snider and Chad Staely. Last year, Trucks received the break of a lifetime: he was put in the coveted position of playing drums for the most popular jam band in the world — Widespread Panic. 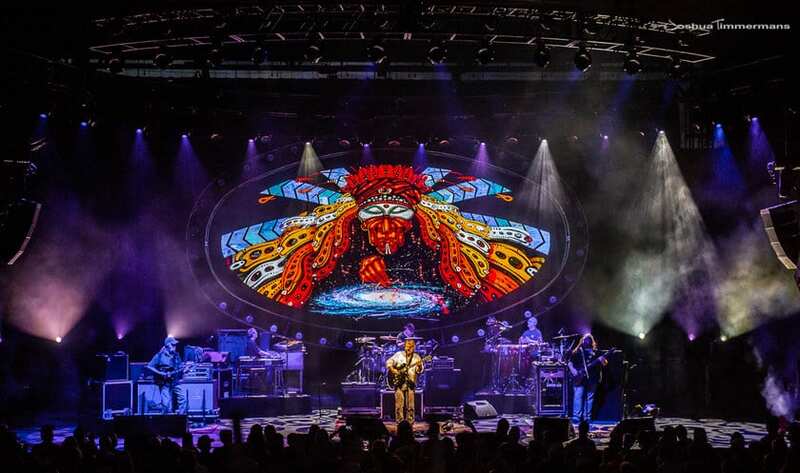 While home for a short respite before joining Panic for the kick-off of their upcoming spring tour, ArtsATL caught up with Trucks to discuss how he’s doing his part in “Keep on Truckin’,” his family’s legacy and his emergence with Widespread Panic. ArtsATL: When I met your mom at a Colonel Bruce show a few years back, she told me you were always banging on something, even as a baby. She said she used to sit you down in the kitchen floor and let you hit pots and pans with wooden spoons while she was cooking. That’s her first memory of you drumming. What’s yours? Duane Trucks: I actually remember banging on pots and pans when I was very young. I asked my parents for my first drum kit. They got me a little kid drum set for my third birthday. ArtsATL: And how old were you when you were able to take drumming seriously? Trucks: Well, after my parents saw I was really excited with the little kid drum kit and that I was going to stick with practicing, my dad called Uncle Butch and told him I was going to need a real set. I believe I was in first grade — so that’d make me somewhere around six. I remember coming home from school and seeing a bunch of boxes sitting on the carport and just being so excited. That is definitely my first memory of wanting to play drums and take it seriously. ArtsATL: Having been surrounded by your uncle, Butch, and your older brother, Derek — both of whom are master musicians — did you ever think about being anything other than a musician? 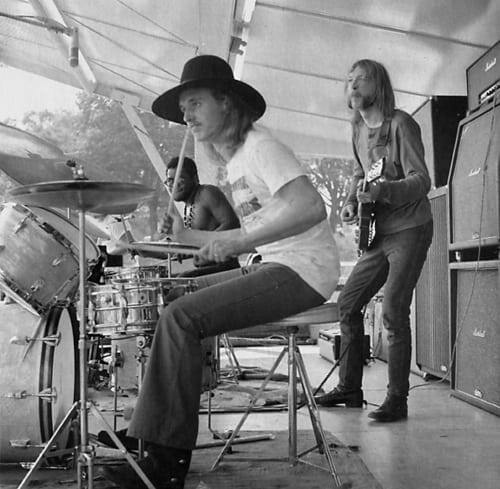 Butch Trucks with Duane Allman. Trucks: I remember being in kindergarten and being asked to write down what I wanted to be when I grew up. And I thought about the only two possible answers were either a drummer or an archeologist. I chose drummer. ArtsATL: Why was the other choice archeologist? Trucks: Because in 1995 Jurassic Park was huge and I loved dinosaurs. [chuckles] But, really, it was always drums for me. ArtsATL: How influential was your Uncle Butch on your development as a drummer? Trucks: The fact that it was Uncle Butch who actually put that first real drum kit in front of me was — I think — huge. And, the fact that he’s such a fantastic drummer has, no doubt, always served to inspire me. But, also, just being who he is has always been inspirational to both me and my brother because while being successful, Uncle Butch has always held a high bar of musical integrity. ArtsATL: What about your brother, Derek? Has he been supportive along the way? Trucks: Oh wow, absolutely. Derek and I are about nine years apart. When I was a kid, he made me feel all right about the fact that all I wanted to do was either play music or listen to music. 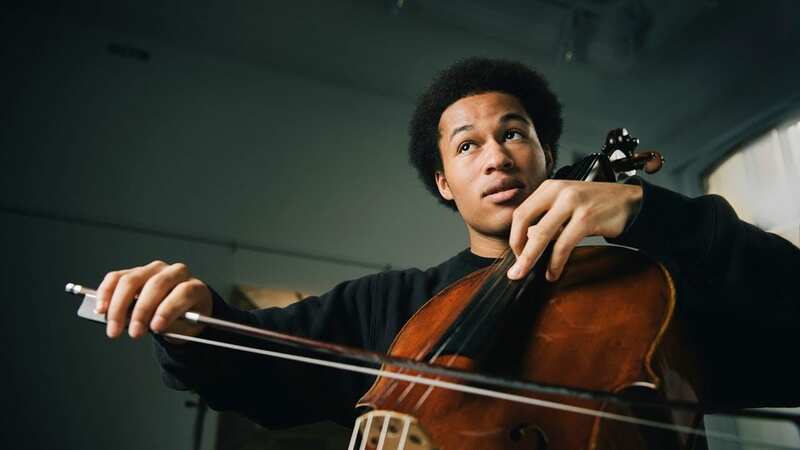 In high school, it really helped that Derek had already gone through, and the teachers knew he was a musician and that I wanted to be one, too. When all you can think about is getting out of class so you can go play some music, it helps to feel understood. It was Derek who would come to my room and hand me an album and say, “Listen to this. You’re really going to like this.” He introduced me to John Coltrane, Elvin Jones, Wayne Shorter and so many greats this way. Derek was always there handing me the right record at the right time. [chuckles] He was a real hands-on mentor. ArtsATL: What would you say to those who might say the road has been paved for you because your last name is Trucks? Trucks: I really believe it’s all about perspective and how you handle the cards you’ve been dealt. Career-wise, nepotism in the music business is like any other business. If your dad works for Boeing, it might help you to get on there. But with music, how heavy you take that responsibility will show quickly. Regardless of what surface superficial success you may be enjoying, it’ll eventually collapse if your intention isn’t about the music. I learned that from Colonel Bruce. Making and playing music involves so many people to consider, like your bandmates and the fans. You have to figure out why you’re doing it. For me, bearing the Trucks name is as much a responsibility as it has been an advantage and given me a leg-up. 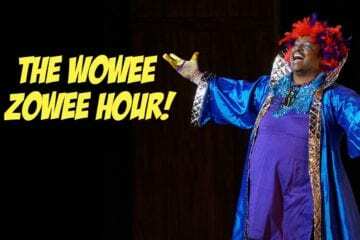 ArtsATL: You just referenced Colonel Bruce Hampton. 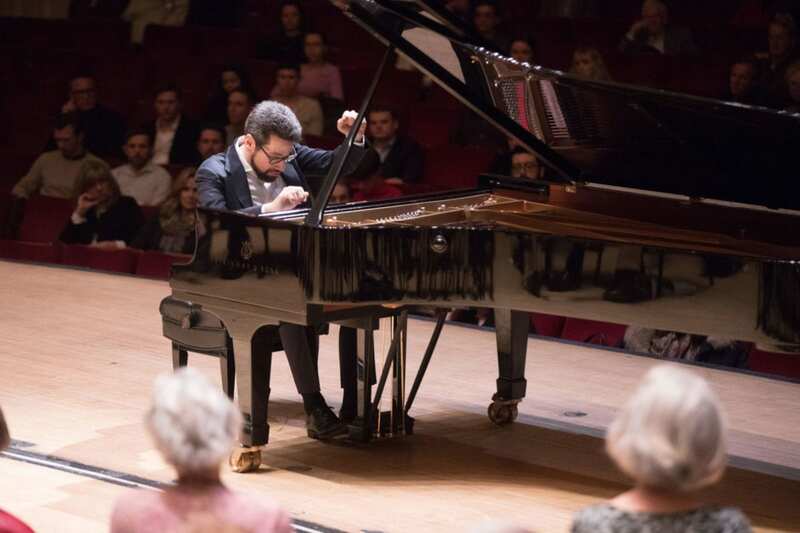 During almost four years of playing with him, what would you say is the best lesson you took from the experience? Trucks: That’s a hard one because there have been so many lessons I took from playing with him. And they’re constant. But I guess that he helped me get clear about my own intentions with my music. You’ve got to travel cramped in vans and sometimes sleep on floors, but still love it because you get to play. And you have to be in it not for the attention or the money, but because of the music. He helped me see that it’s important to be sure that what you’re doing is real and that you’re not just doing it to get by. In other words, my time with the Colonel taught me you can’t wield your sword recklessly. ArtsATL: You say the lessons you took from Colonel Bruce are “constant.” Would it be fair to infer those lessons continue to permeate into your life today? Trucks: There’s no doubt. Every day, I remember something that came from those hours driving in that van with him. I was 19 when I started with Bruce and probably took some of what he was saying as preaching back then. But as I’ve gotten older, those lessons have sunk in. Bruce actually gives everyone around him a place to be free. You think you’re directing all this energy at him, but really, he steps out of the way and lets you direct that energy at this thing that becomes your own. He’s like an invisible leader. He cleverly leads without leading. So, yeah, I definitely think the Bruce stuff has marinated and continues to marinate. 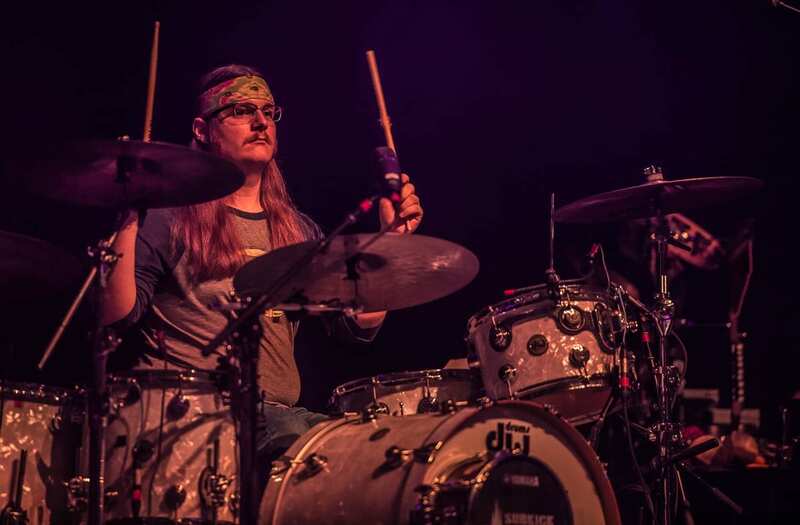 ArtsATL: Last year when Widespread Panic’s drummer, Todd Nance, decided to take an indefinite hiatus from playing, you were asked to join the band. What’s it been like to work with a band as seasoned as Panic? Trucks: It’s almost indescribable. It’s been an insane learning experience on so many levels. Panic has such a vast catalog of music and they are written so incredibly well. As a musician, being able to adapt to the room — no matter how big or small — is key. And, of course, Panic has a huge and incredibly loyal fan base, so the rooms Panic play are huge. ArtsATL: When you were asked to sit in for Todd Nance, what fears, if any, crossed your mind? Trucks: Just getting it right. Panic plays to their fans, not above them. Their fans are very passionate and respond to every twist and turn the band makes. There’s an unbelievable exchange of energy at a Panic show between the band and the fans. The fans are as much a part of the show as the band. The interplay is so involved. 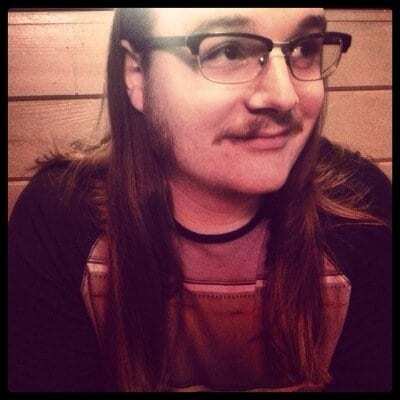 I know how much the fans love Todd, so I didn’t want to simply learn the songs; I really wanted to try to respect Todd’s feel and make it still seem like a comfy pillow for the fans. So, making sure I do justice to the way Todd leads or his subtleties has been the main thing on my mind. But, also, it’s been important to me to respect the deep groove between the band. 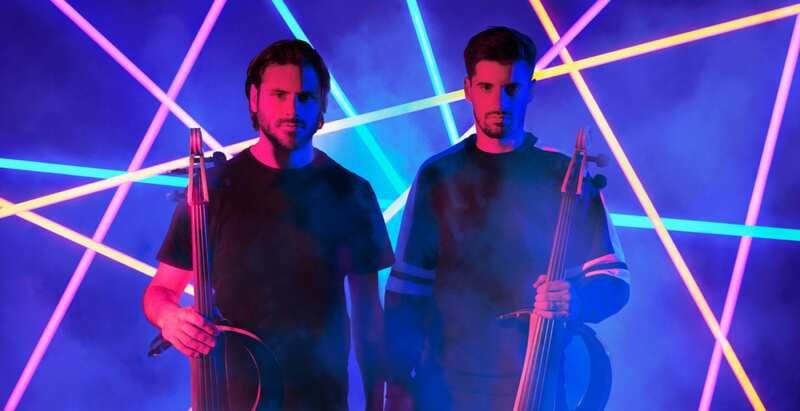 These guys are incredible musicians and they’ve been at it longer than I’ve been alive. So, yeah, that’s all been heavy to carry. 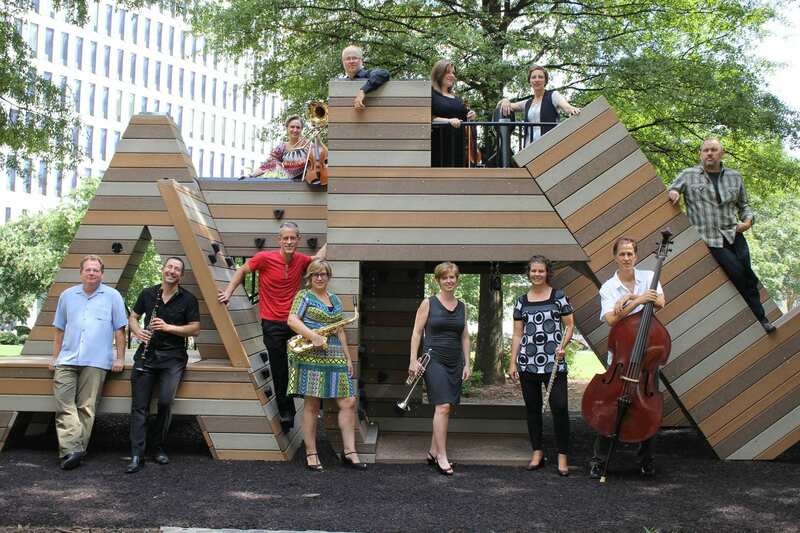 ArtsATL: And, so far, how has it been going? Trucks: All the guys in the band have been amazing. They’ve all been so supportive and patient with me every step of the way. I felt the fans gave me love right away. That was great and made me want to give it right back. I couldn’t have asked for more from the guys or the fans. I’m so very lucky to have been given this opportunity. And, for me, it’s just been incredible. 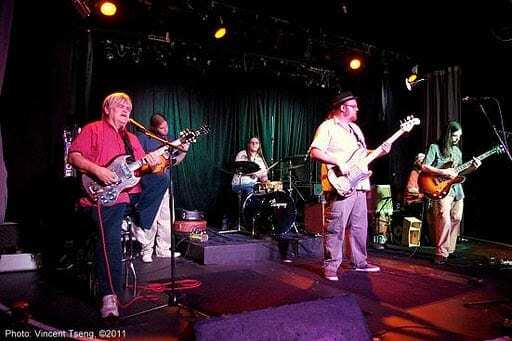 ArtsATL: Has there been any added pressure because you’re now playing with your father-in-law, Jimmy Herring? Trucks: I’ve known Jimmy since I was five or six years old, so he’s always been like an uncle or older brother and I’m real comfortable around him. But, because he’s such a beast of a musician, I definitely catch myself saying, “Oh gosh, there’s Jimmy. I’ve got to be on my game. I’ve got to do it for Jimmy.” I don’t want to let him down. But, there’s no pressure from Jimmy. He’s the most patient and kind-spoken person on the planet. ArtsATL: You’re only 26 and you’ve already achieved some great accomplishments many people would wait a lifetime to reach. 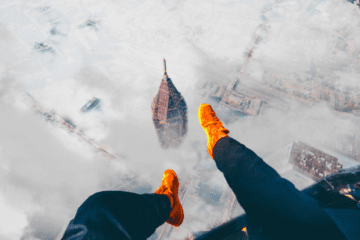 What keeps you so grounded? Trucks: Thank you. My dad was a roofer. My brothers and I grew up roofing during our summer breaks. We were taught that most people have to work very hard to earn a living and sometimes have to do a job they don’t necessarily enjoy doing every day. I get to go sit behind a drum kit and make a living doing the thing I love — play drums. I’m very humbled by that. ArtsATL: Speaking of family, at your family’s holiday table, counting the musicians, there’s you, your brother Derek, your sister-in-law, Susan Tedeschi, your Uncle Butch Trucks, your father-in-law, Jimmy Herring. Is there always music involved at such family gatherings? 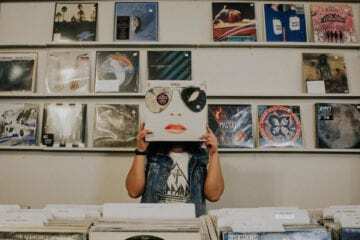 Trucks: You know, there’s always talk of music or a good record playing so it’s always there. But when we’re all able to get off the road and get together, we really enjoy just talking and catching up about other things, too. 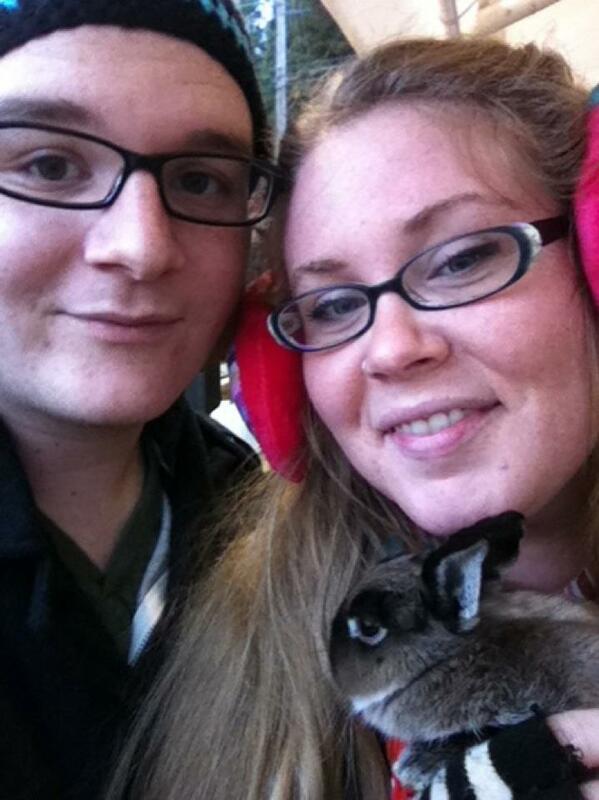 ArtsATL: Your wife, Cameron Herring, is an artist, and you both come from families who understand and support artists. What would you say to those young people who haven’t gotten the support from loved ones to follow their dreams to be an artist? Trucks: I know a lot of people who haven’t been fortunate like we have, and had family support, and it’s hard. In some cases they’re even estranged from their families because of it, which is sad. I think it’s about finding a community scene so everyone can spur you on to keep going. You have to create your own family of support and find support from fellow artists. Go on a search for like minds. 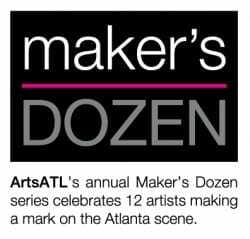 Maker’s Dozen is an annual series that spotlights a dozen creatives whom we think you ought to know or know more about. The profiles will run on Tuesdays and Thursdays through April 16.